It’s always great to get feedback from our customers but even better when it comes in a card with photos! 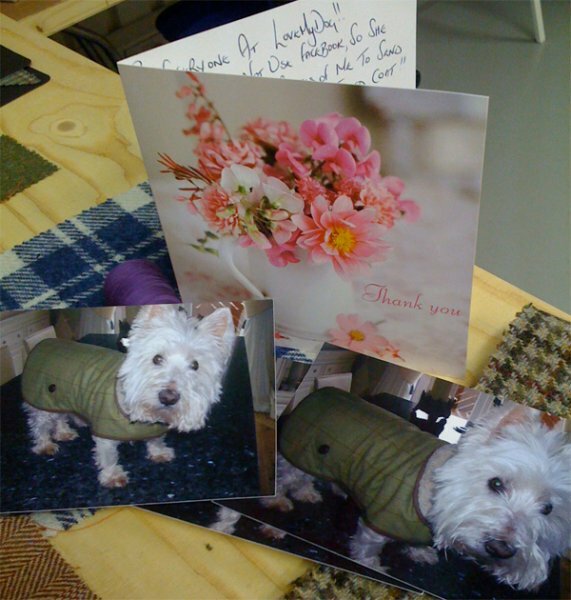 Have a look at the gorgeous picture of Charlie Leach who loves his tweed dog coat from Love My Dog. Charlie is 10 and a half and his Thornproof dog coat helps to keep him nice and cosy. Thanks to Tina for taking the time to send us the card and for her kind words, “Good customer service is so hard to find these days and it was an absolute pleasure in dealing with you”. If you want your dog to look as smart as Charlie, then have a look at our tweed chic dog products.